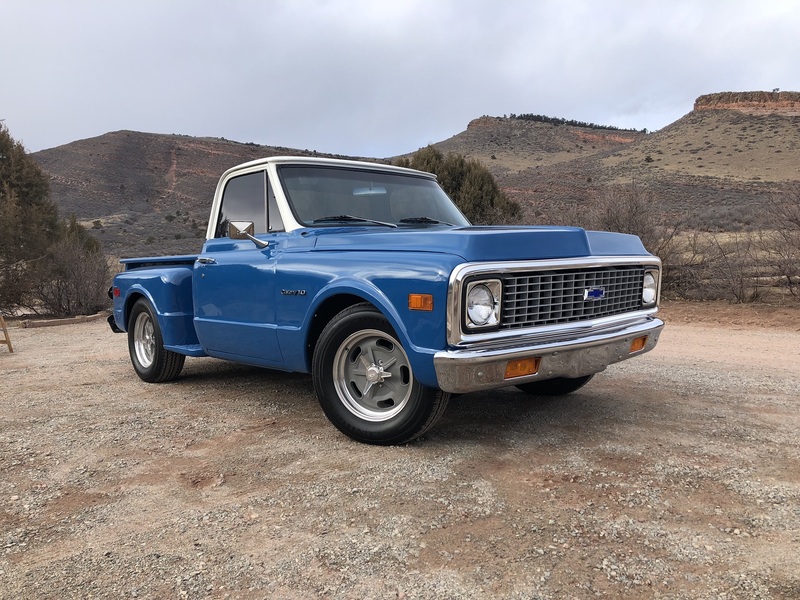 This truck was acquired from its second owner in 1999 and its subsequent resto/mod was completed by a local father/son tandem who are two of the areas most experienced rodders. 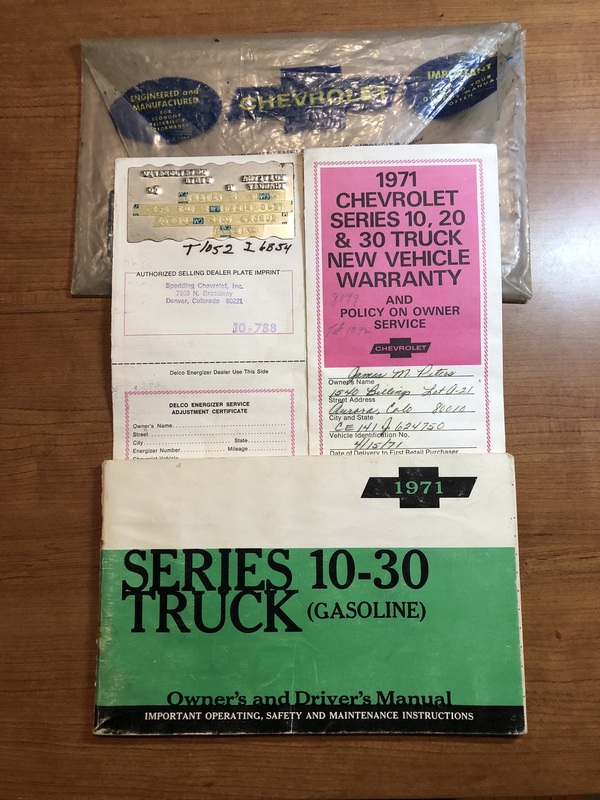 All receipts/records from the resto/mod are included with the truck. 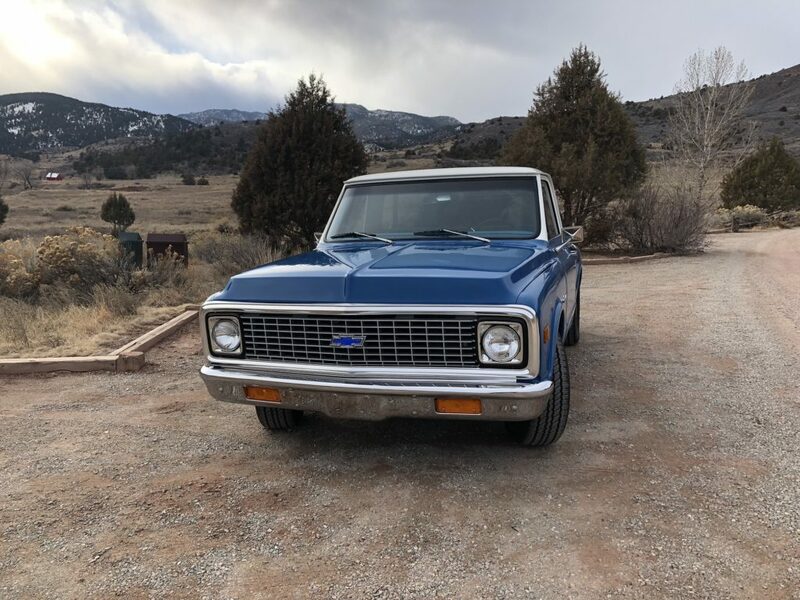 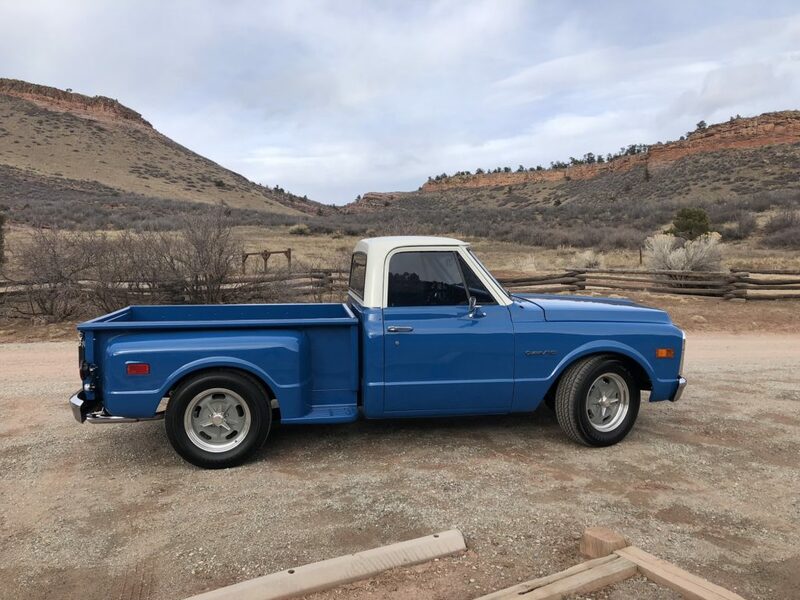 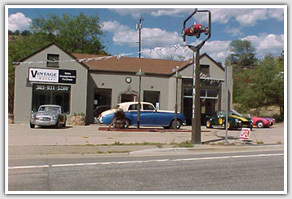 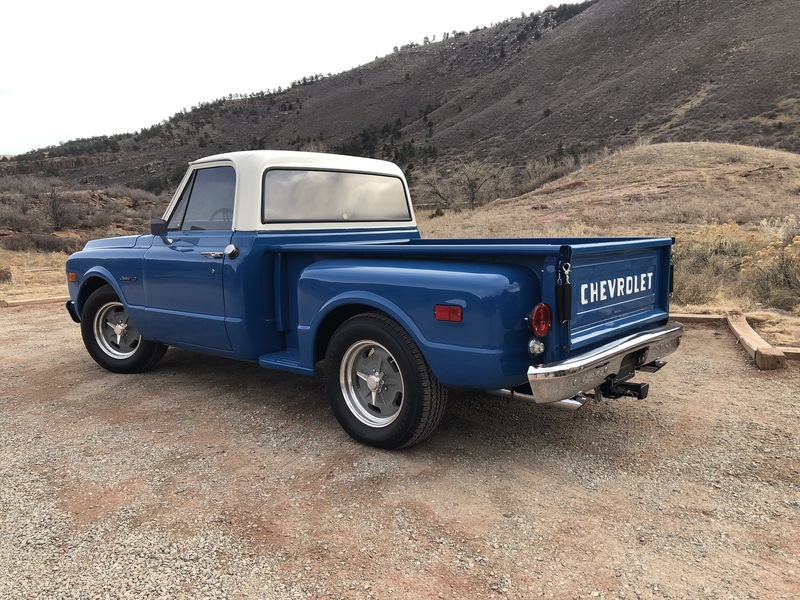 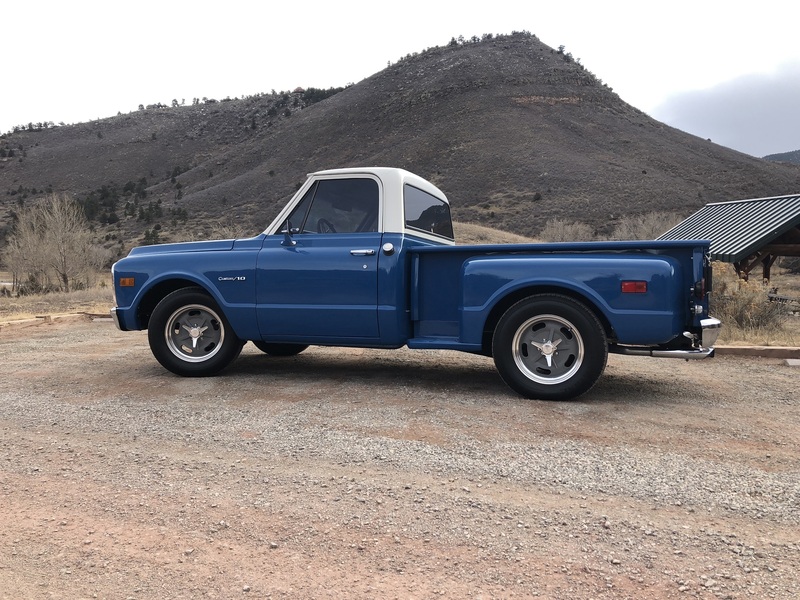 This truck was sold new on April 15, 1971 at Spedding Chevrolet in Denver, CO to a local buyer and has always been a local truck. 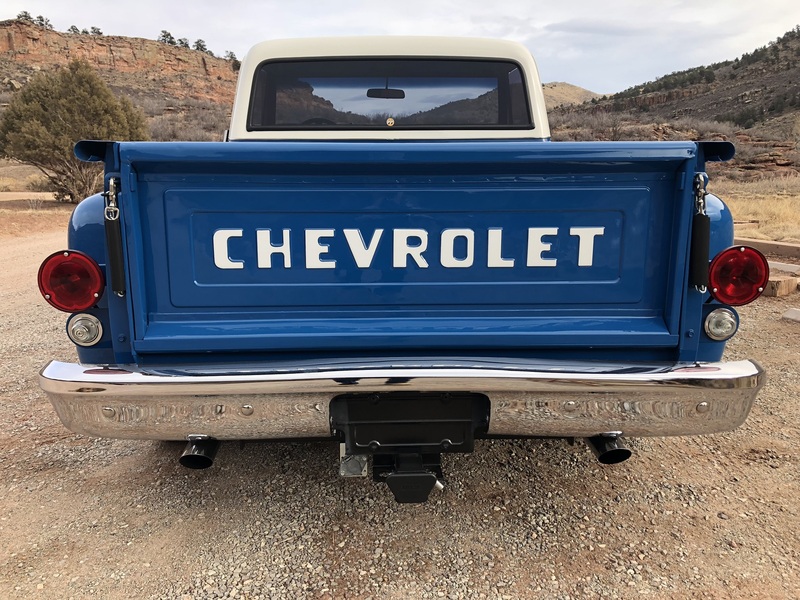 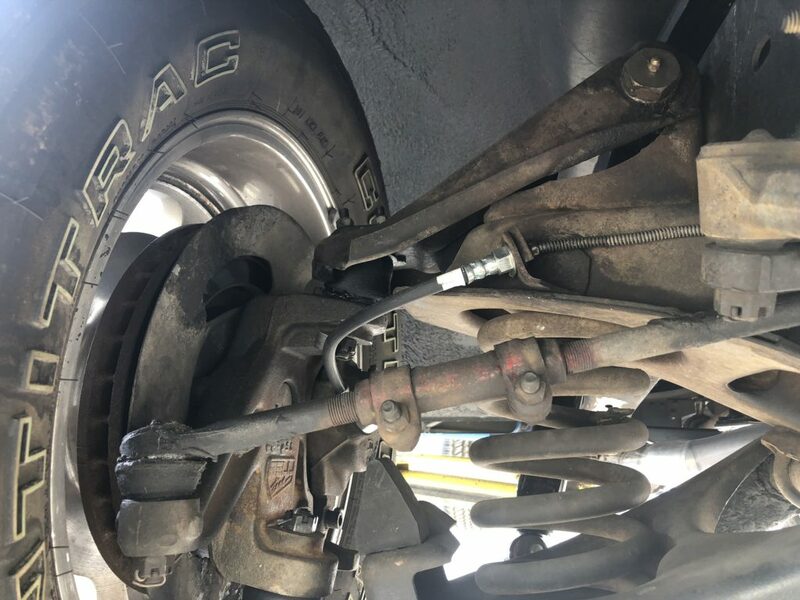 The original owners metal protecto plate, warranty, and owners manual is with the truck (all in dealer pouch) and is being sold with a clear, actual mileage, Colorado title! 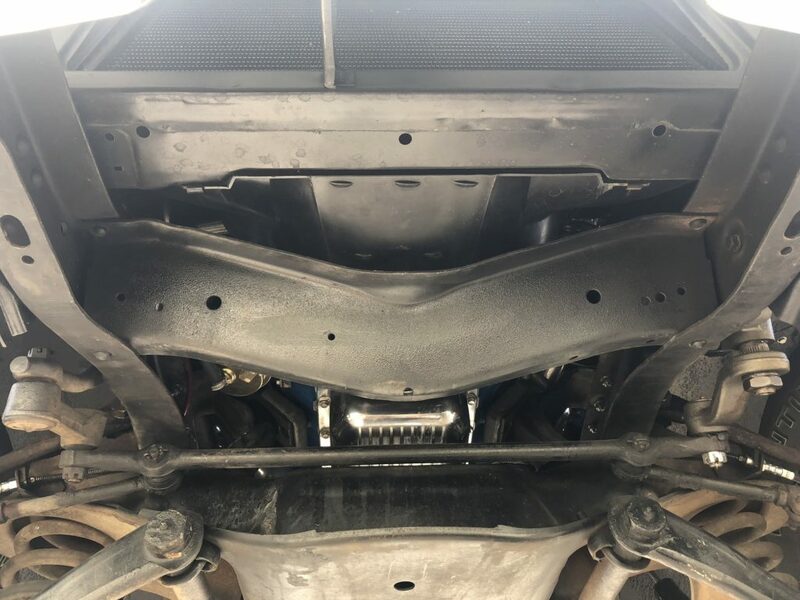 The body and chassis are straight and rust free. 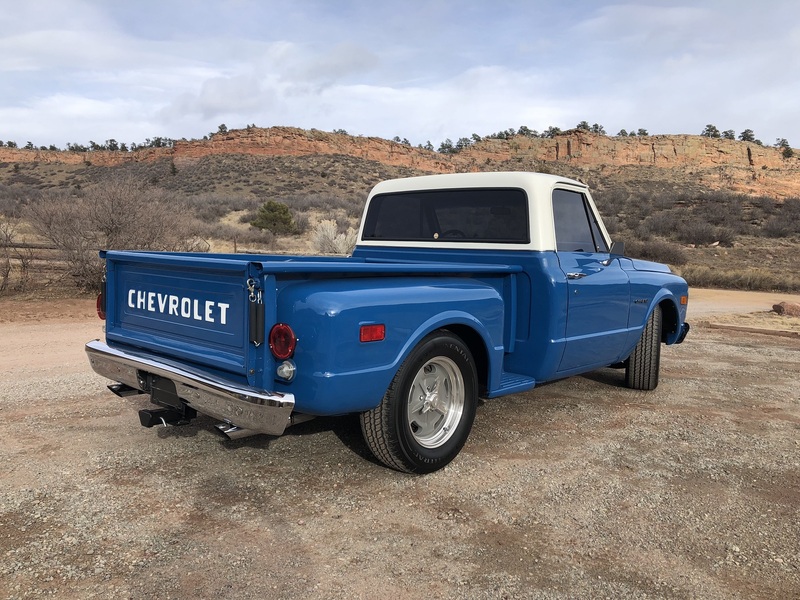 For the most part the paint is of very high quality (2 coats base, 6 coats clear) and the truck shows and looks exceptionally good, especially for a now 19 year old re-paint! 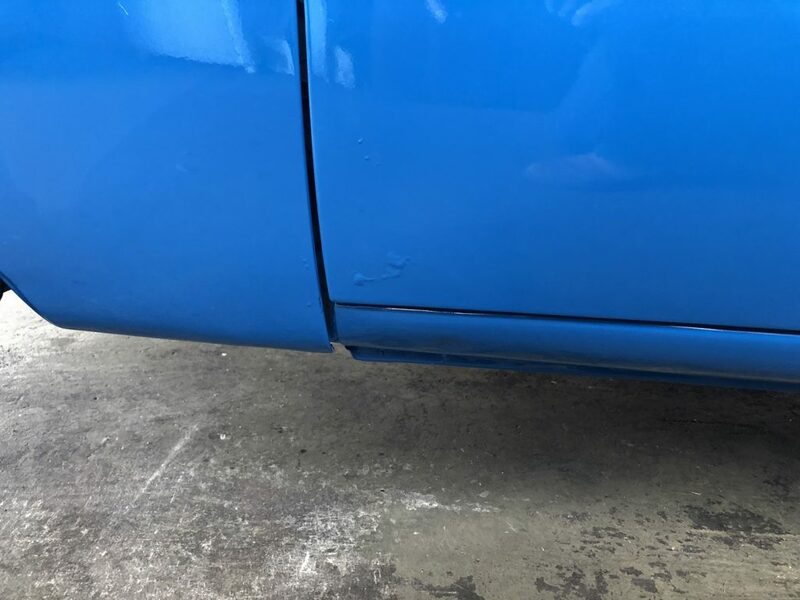 There are a few very small blems in the paint at the lower rear door corners (close ups shown below) that are not visible unless looking for them when right next to the truck. 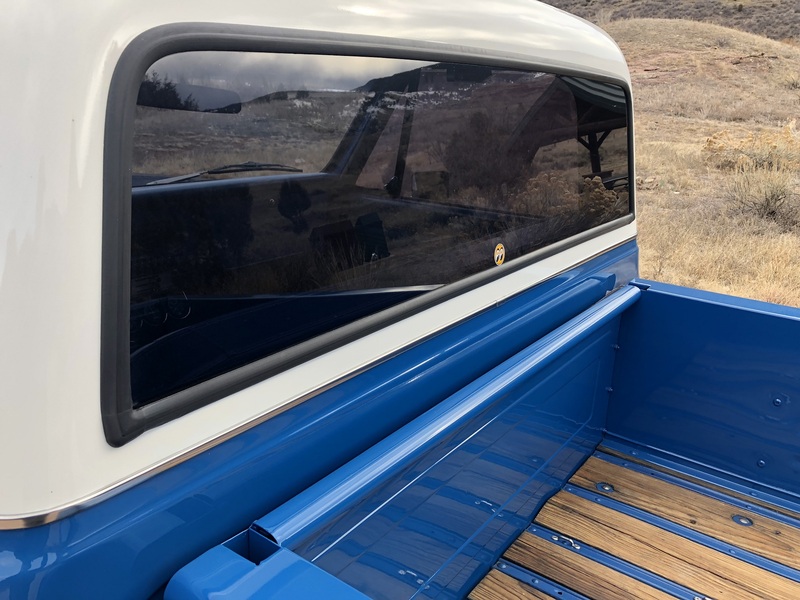 All glass in the truck is good and crack free. 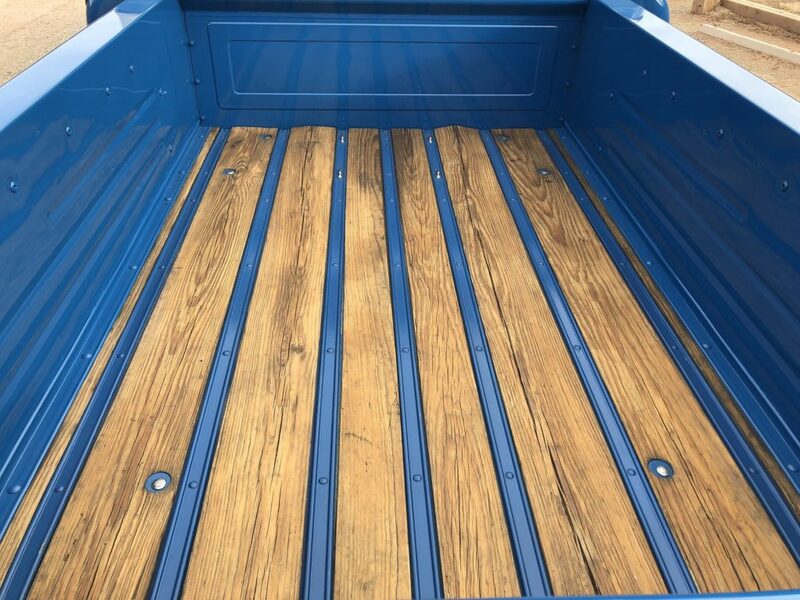 The wood bed is the original yellow pine bed, sanded and treated with a preservative. 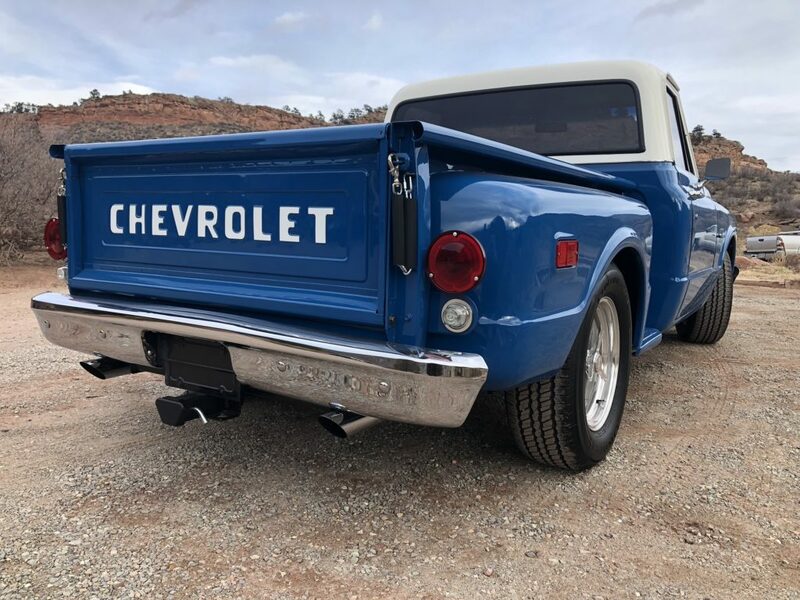 Click on above link to watch and listen to the sweet exhaust note on this truck! 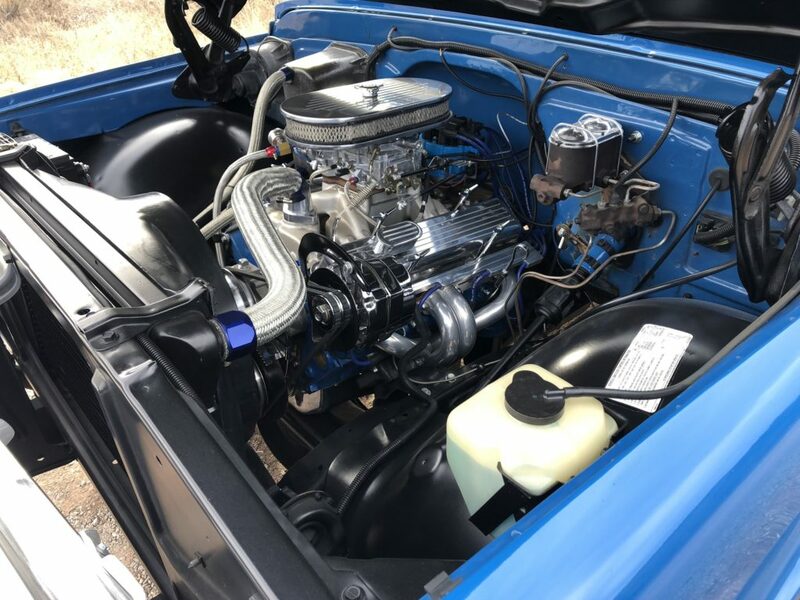 The engine is a professionally built Chevrolet 350 V8 bored to 30 over producing an estimated 375 hp. Less than 2,000 miles on truck since engine build. 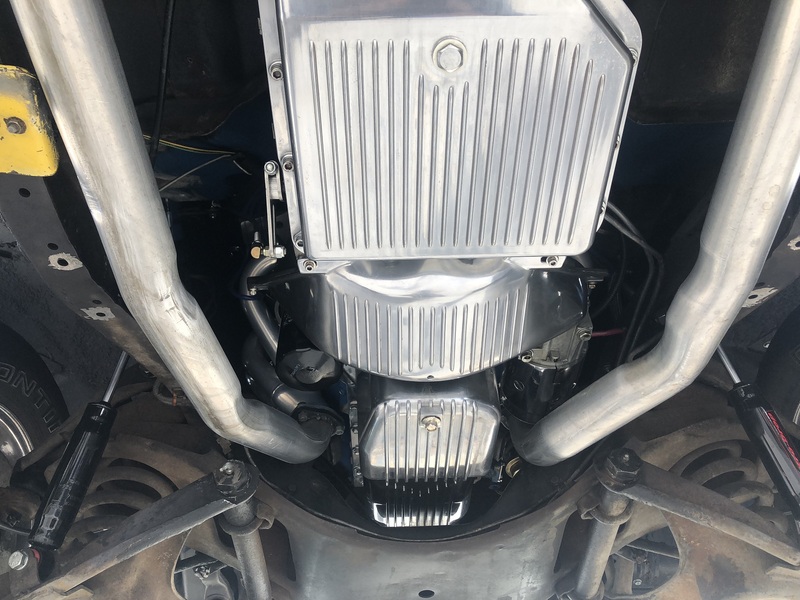 Just tuned, no smoke, leaks/drips; very healthy! 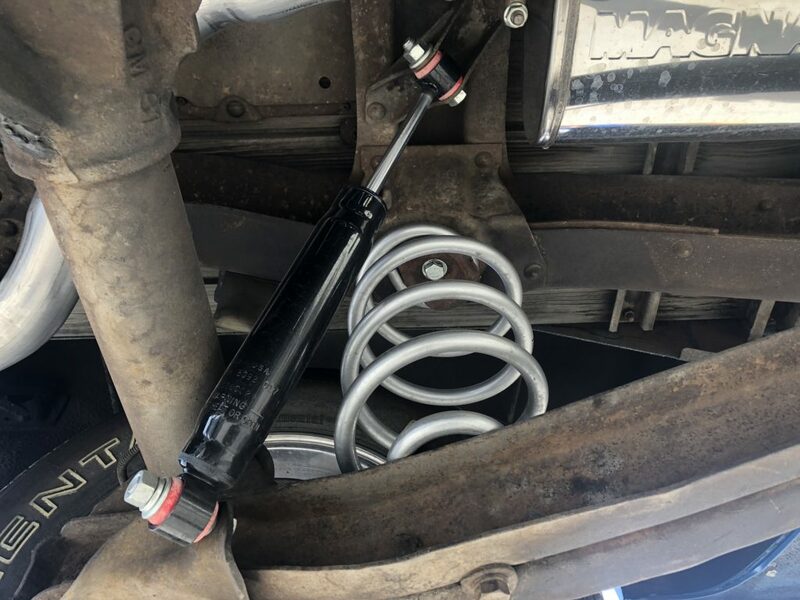 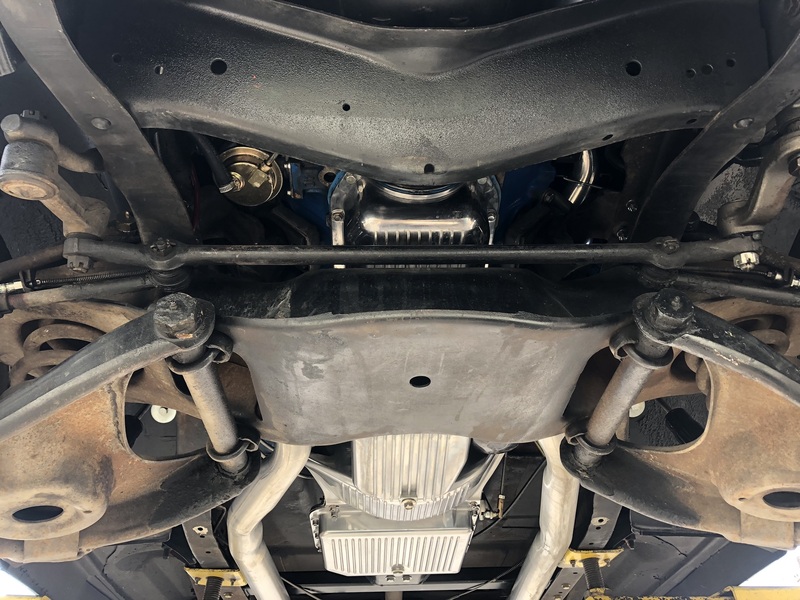 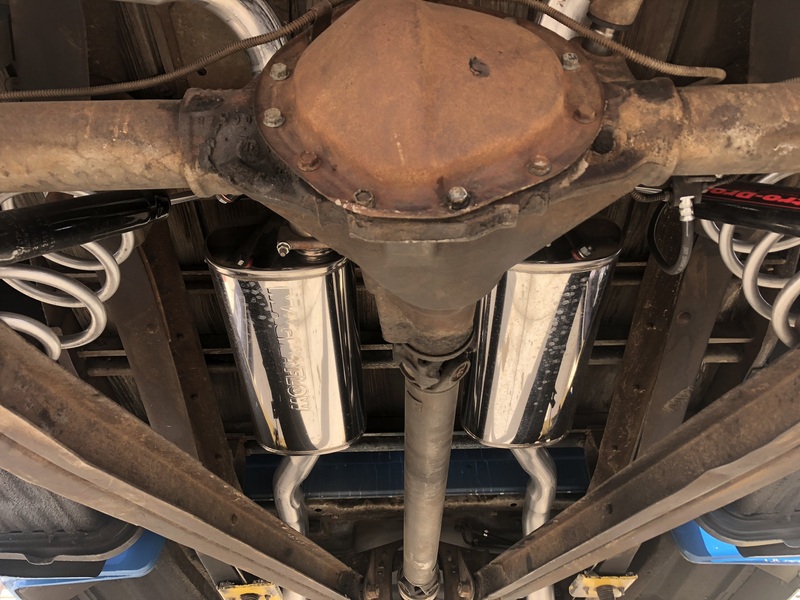 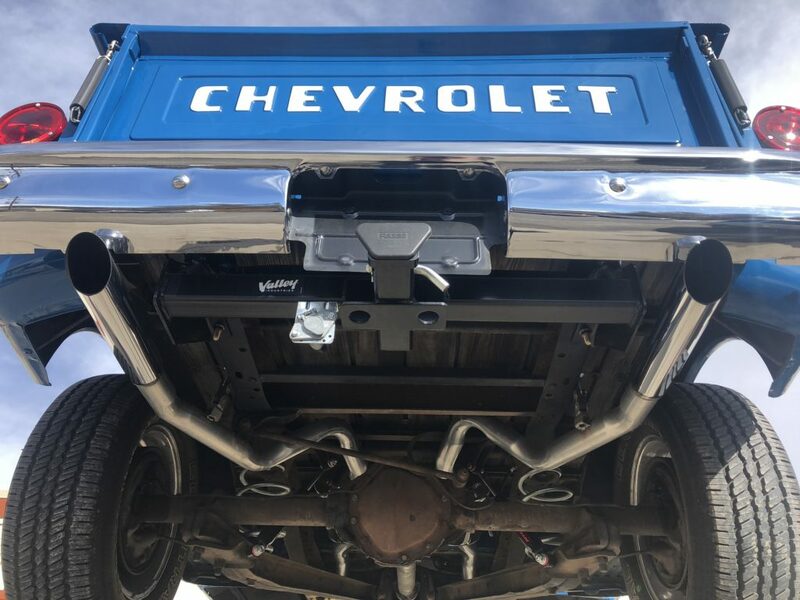 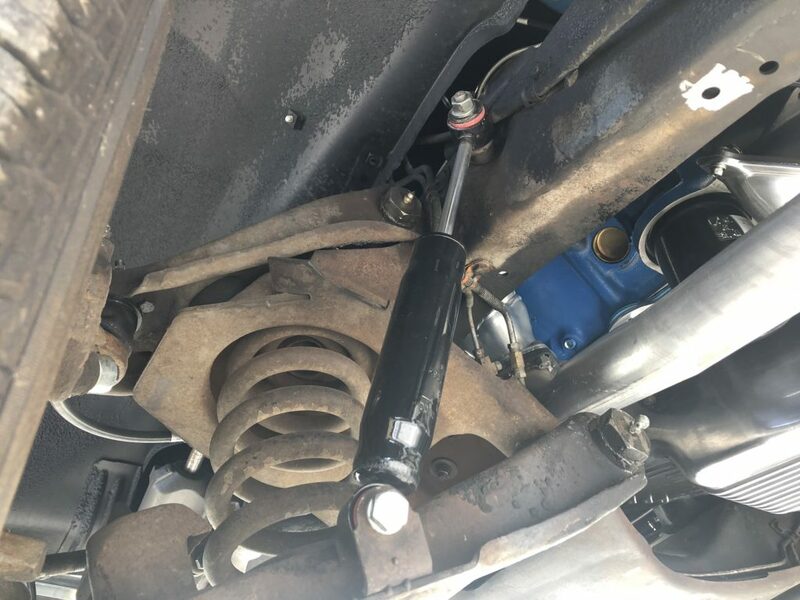 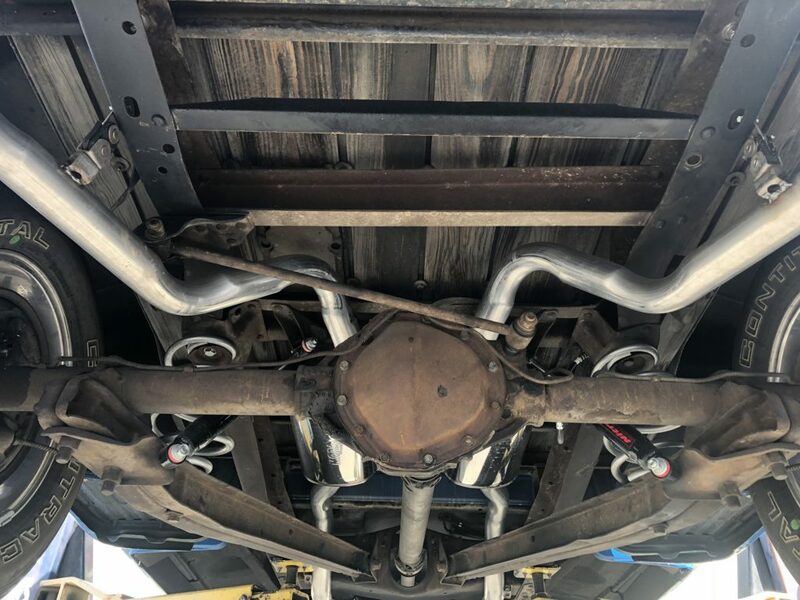 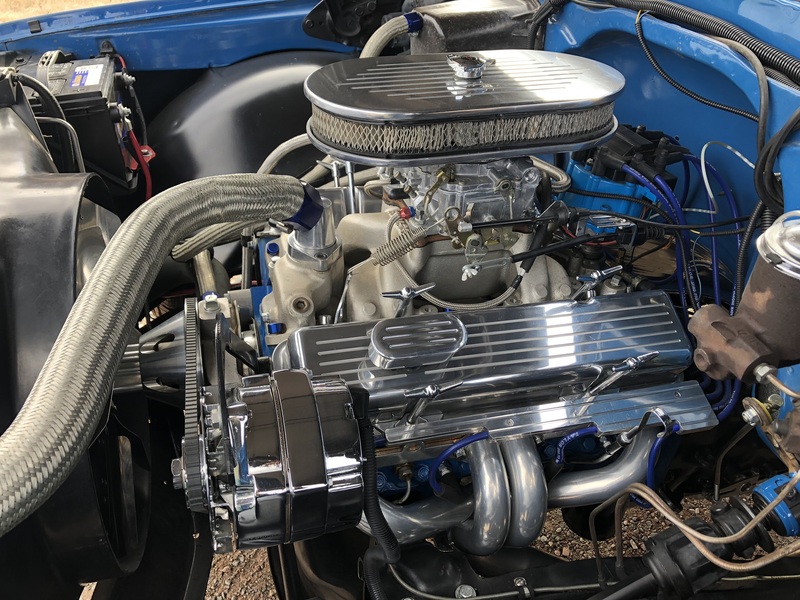 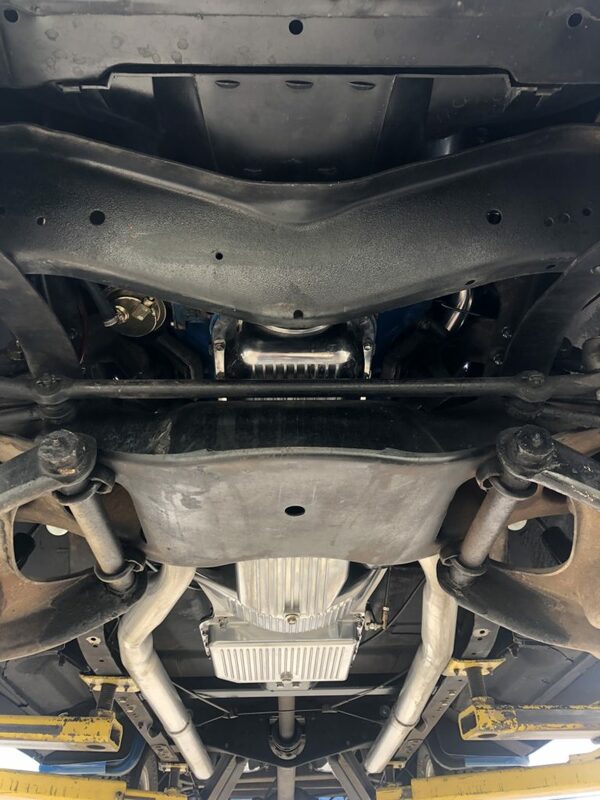 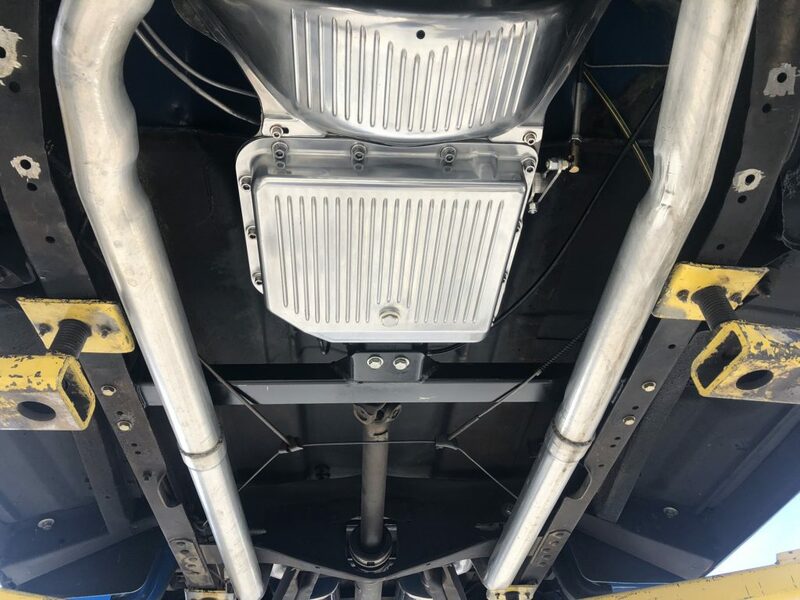 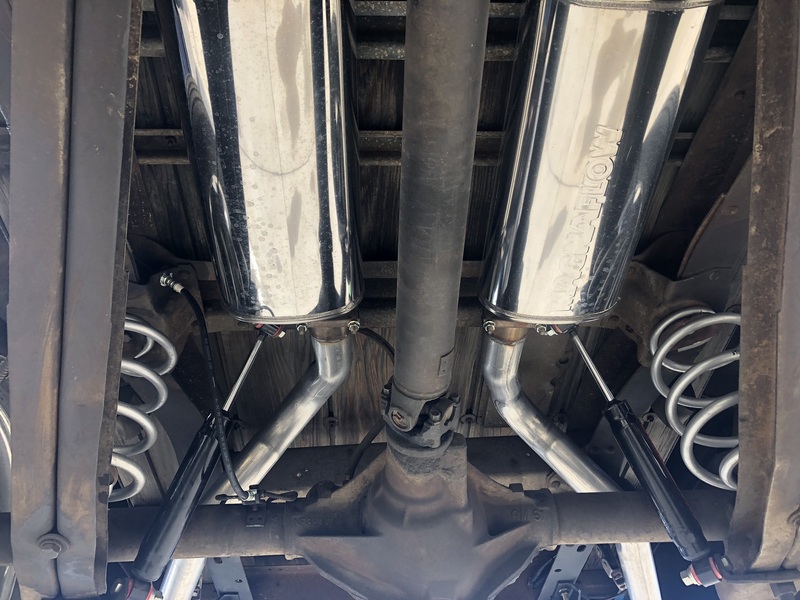 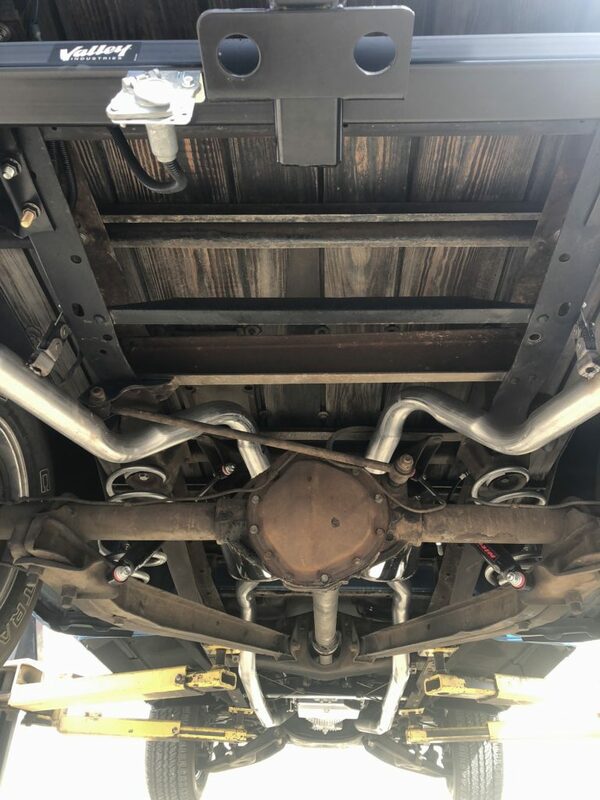 Engine features a Edlebrock Air Gap Manifold; Edlebrock 600 CFM 4 barrel Carb with electric choke; Holley Flow Tech 55 Chevy IPC Coated Headers; Dual 2 1/2″ exhaust by Exhaust Pros into Magnaflow Stainless Steel mufflers, exhaust pipes with 3″ tips. 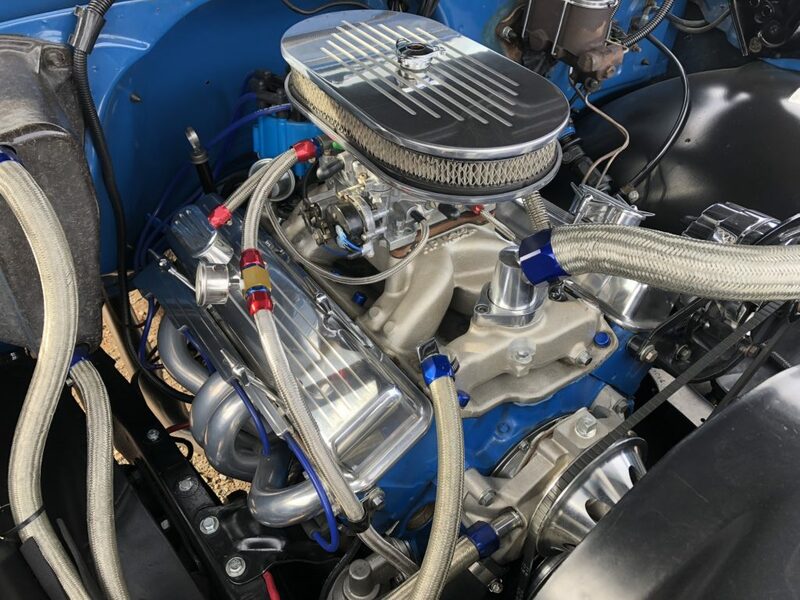 New 3 Core Heavy Duty Radiator by Performance Radiator; Complete eEngine Dress by Speedway Motors, Jegs and Denver Specialites; Turbo 350 Transmission by Art Transmission; 4 bolt main. 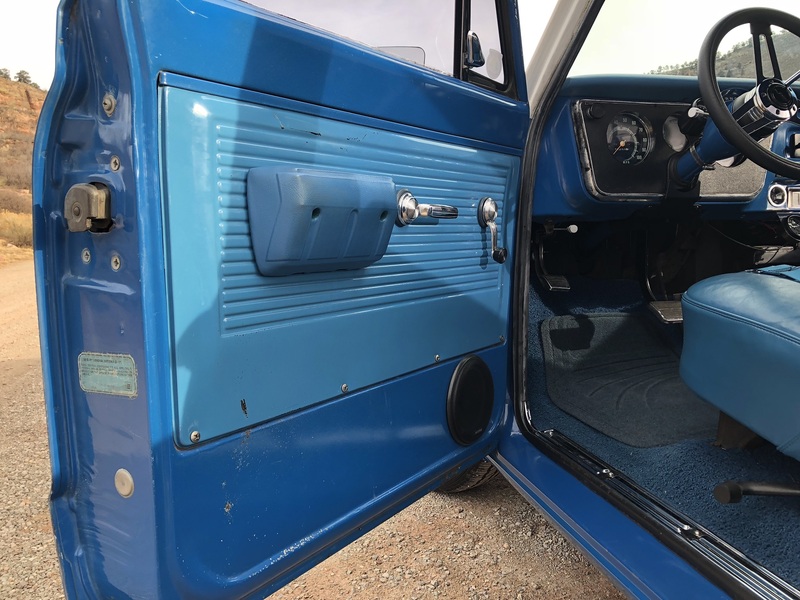 The original paint was intentionally left on the interior of the doors, cab ceiling and dash as it is in such good shape and provides a great patina, look and feel. 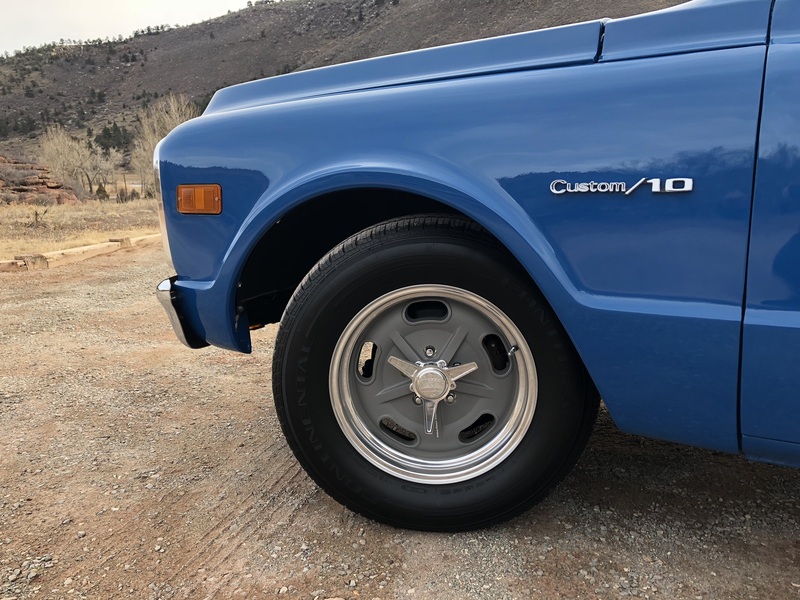 They are only original once! 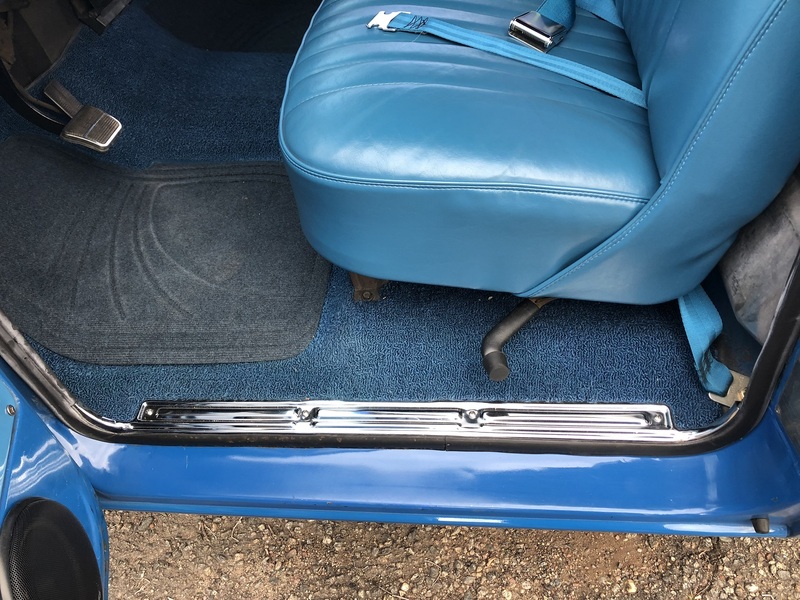 The seat was re-foamed and covered with a very high quality vinyl in original style. 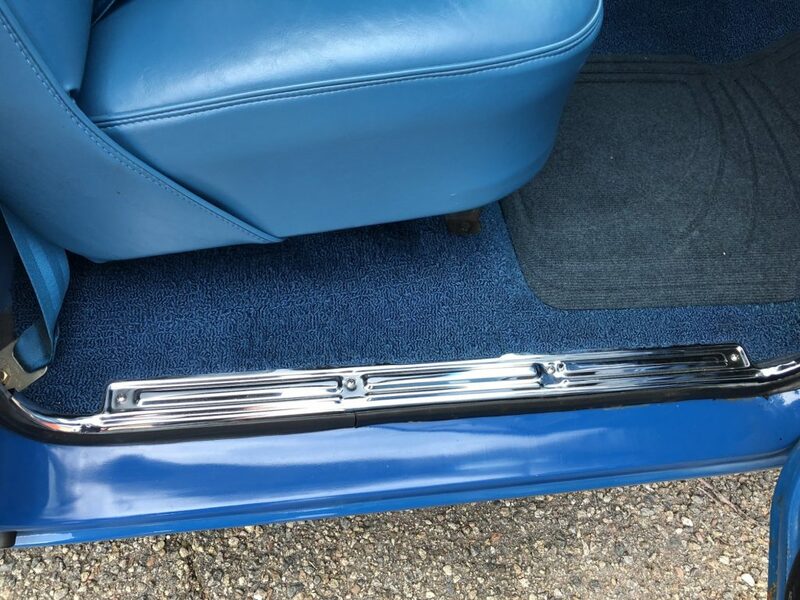 New carpet was also installed. 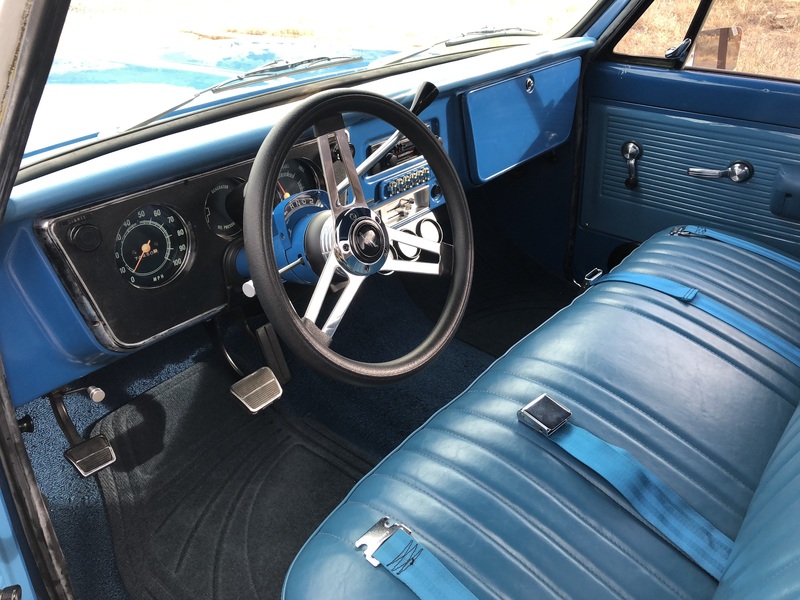 Original paint dash with new dash pad on top. 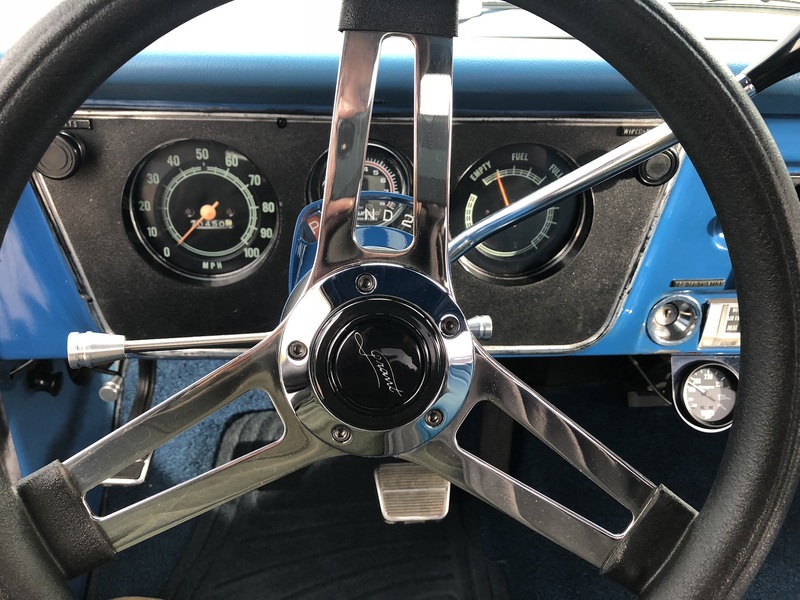 The smaller diameter Grant steering wheel is a good looking and practical add. 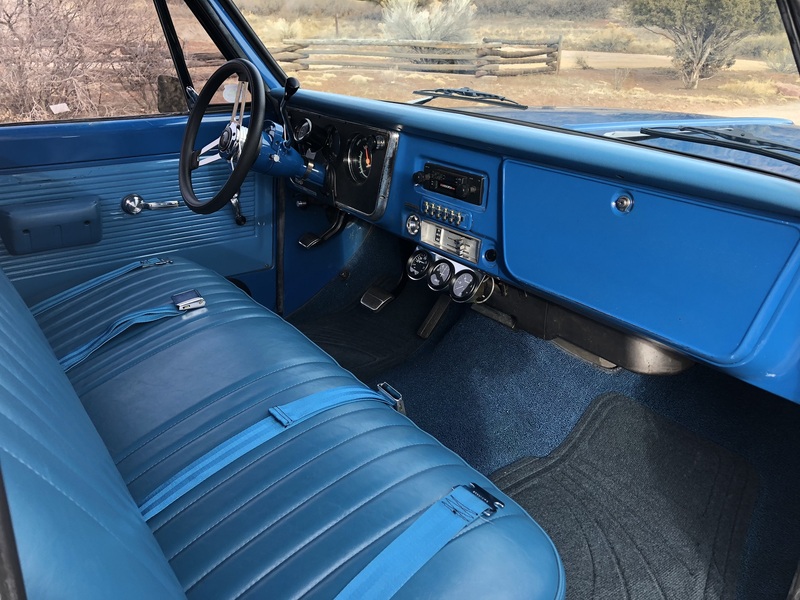 It feels great to the touch and provides some additional room when seated. 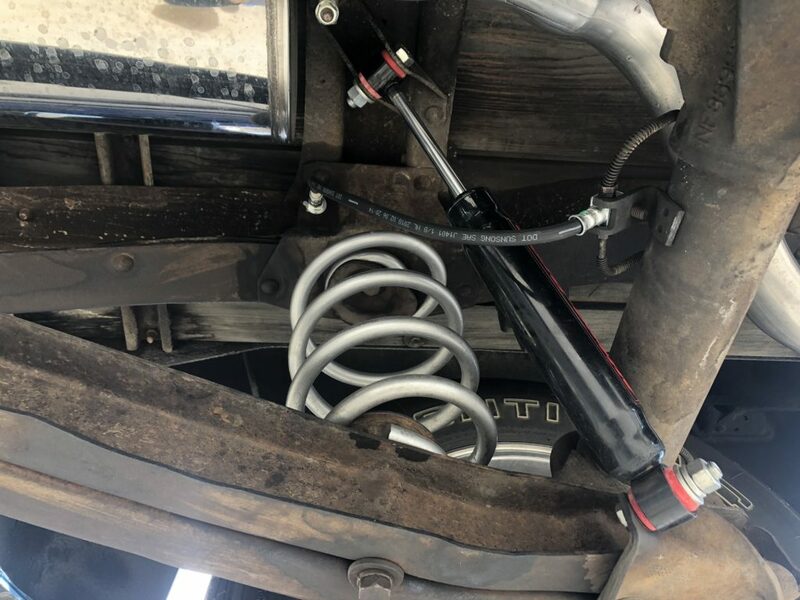 The steering on the truck was rebuilt; very tight with no play/slop. 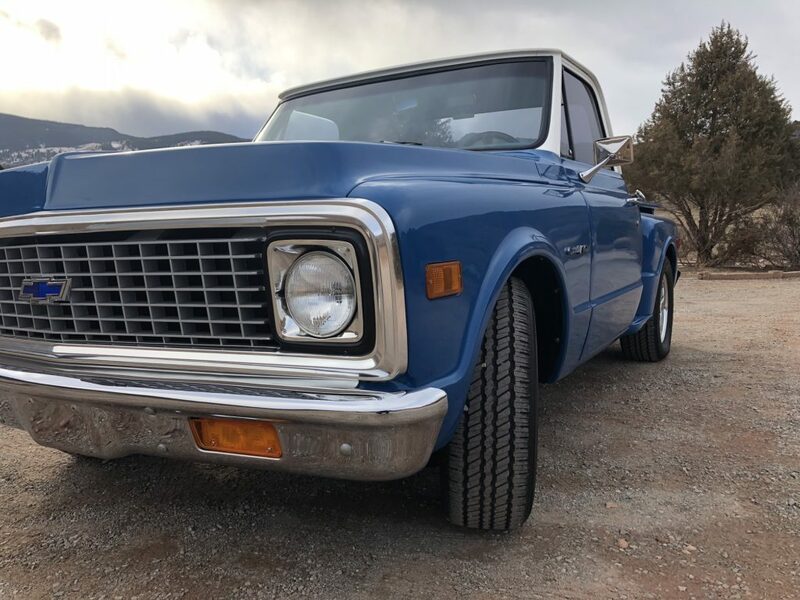 It steers like it has power steering even when at low speeds and parking. 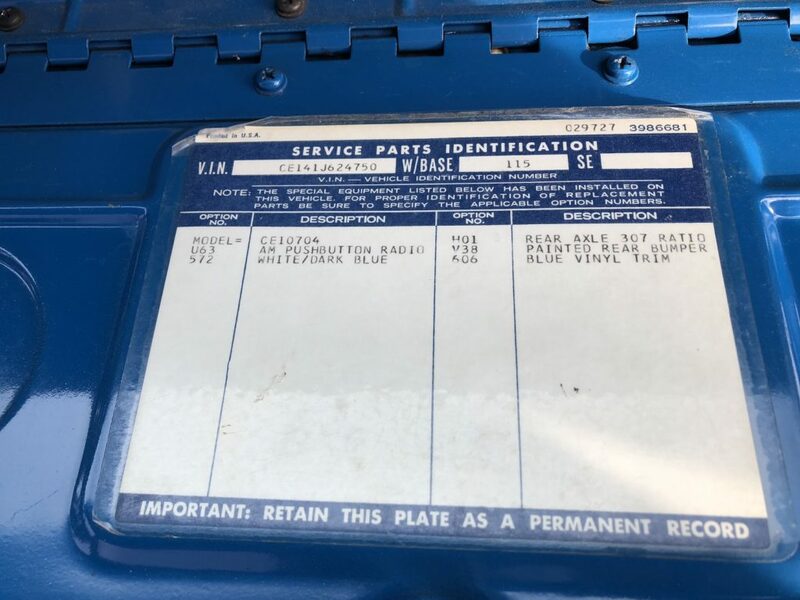 Odometer showing 170,450 original miles. 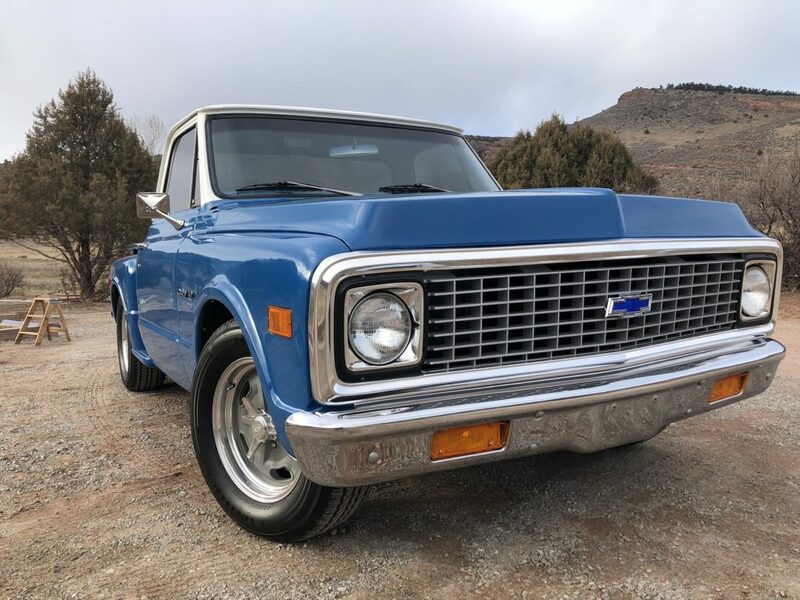 Truck is sold with an actual mileage title and has been driven just under 4,000 miles in the past 20 years. 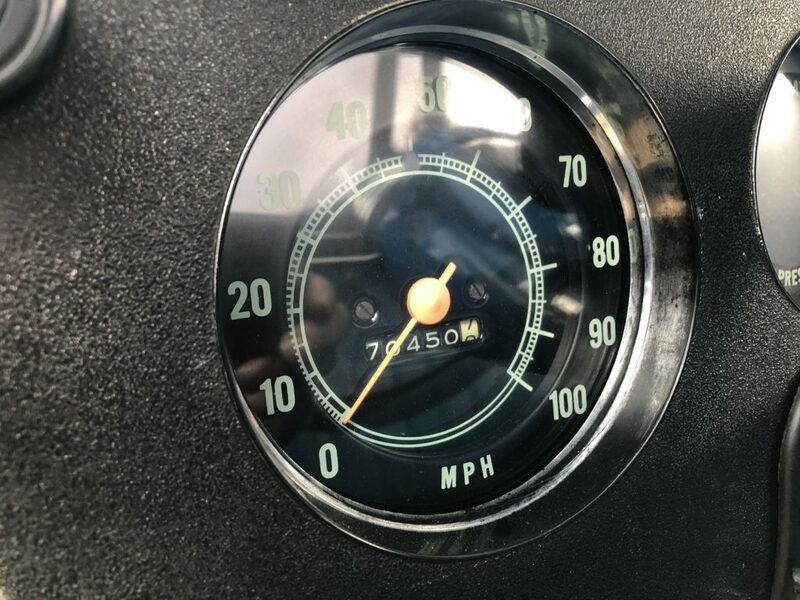 Three 3″ diameter Black Face Gauge with Water Temp., Ammeter, and Old Pressure Gauges mounted beneath (not cut into) dash. 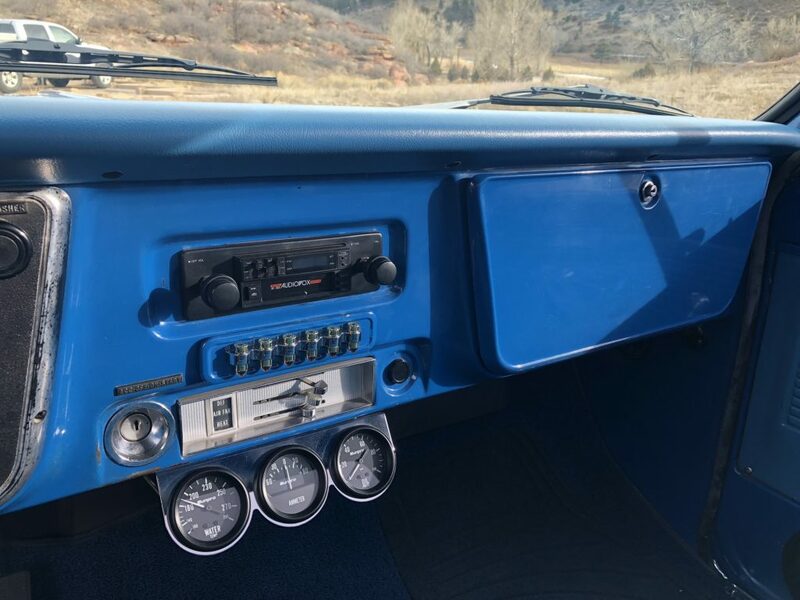 8,000 RPM Tachometer mounted on top of steering column. 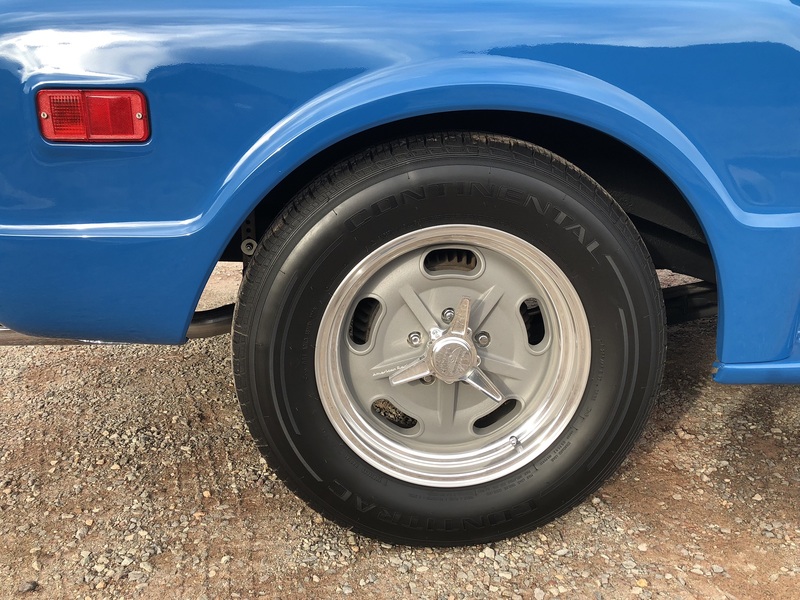 Wheels are 17″ x 7″ American Racing Salt Flat Mags with 3 bar spinners (5 on 5 bolt circle) with new Continental Conditrac 255/55/R17 tires. 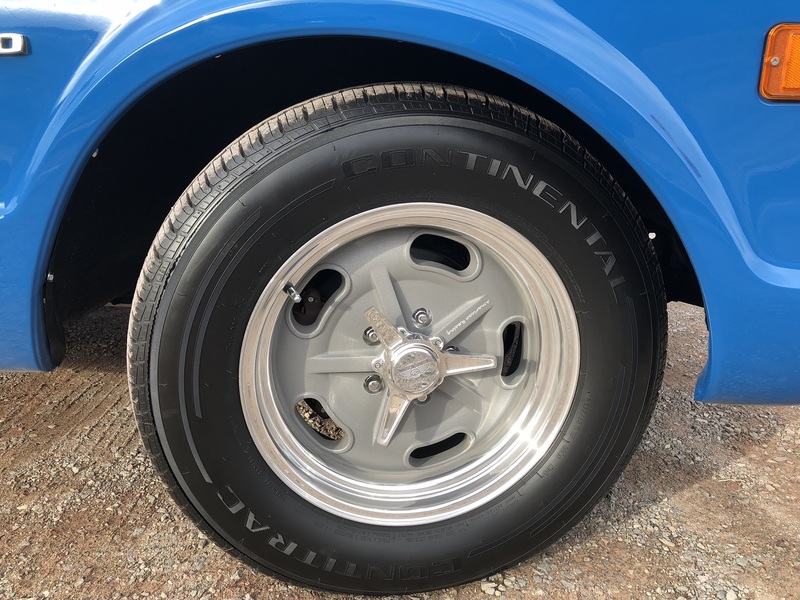 The original steel wheels and dog dish hubcaps are with truck as well. 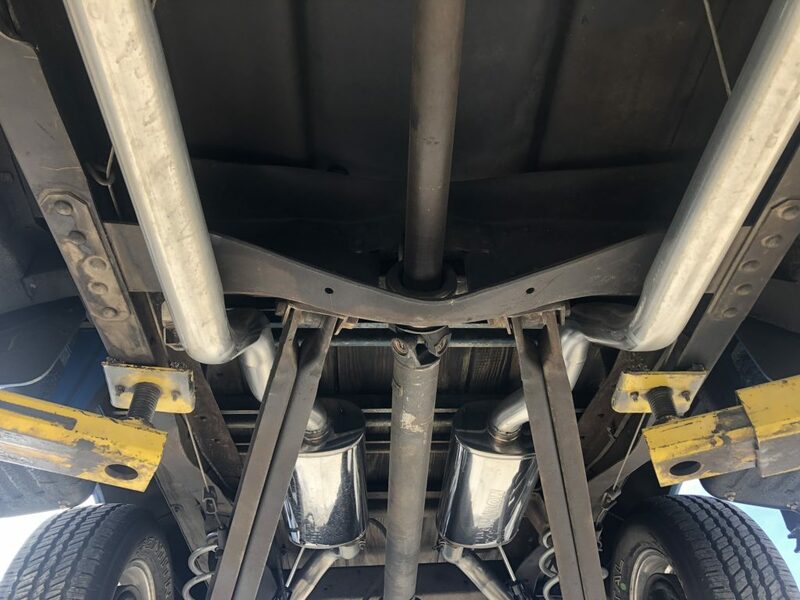 Photos of underside of truck taken from rear to front and then front to back. 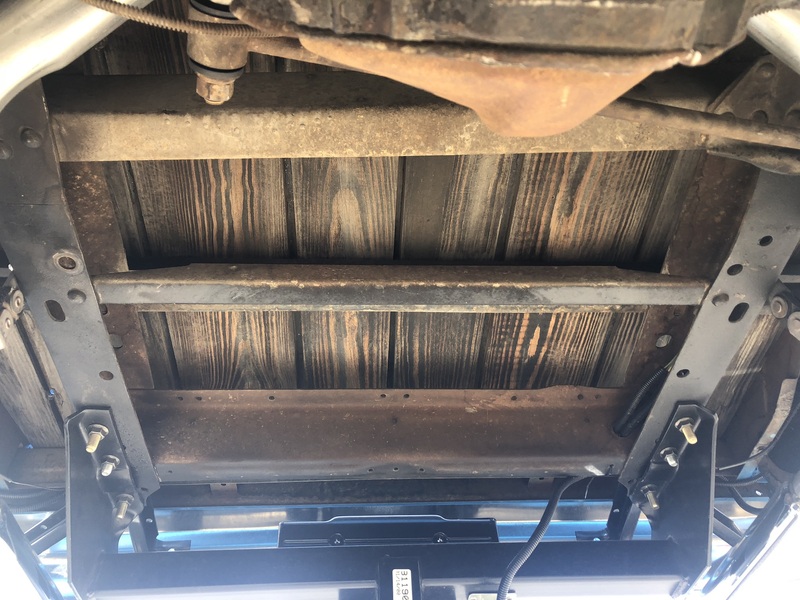 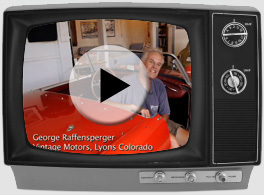 As a 48 year old Colorado truck the chassis and underside of the truck are in great shape. 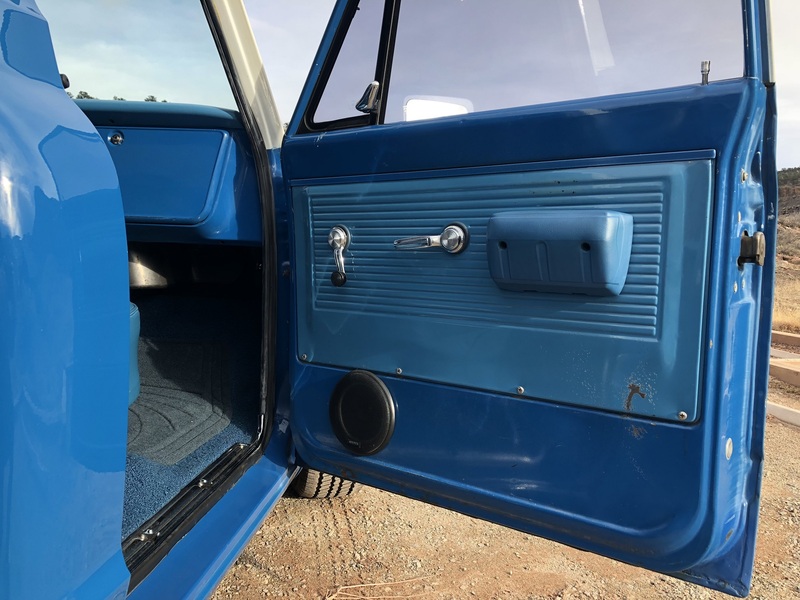 Left Door, Bottom Left, Lower Corner Paint Blisters as shown above. 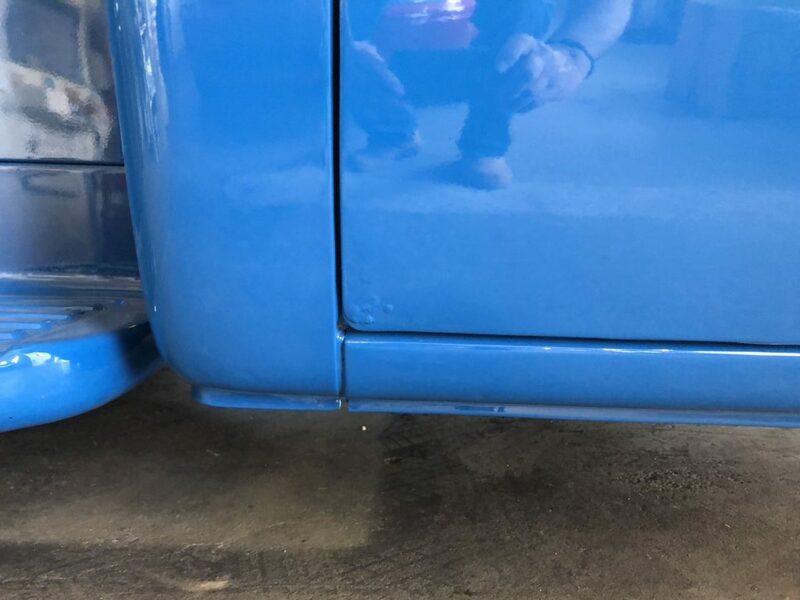 According to the prior owner, these blisters appeared in the paint not long after the truck was painted in March of 2000; apparently due to moisture in the lower doors at time of paint prep.. 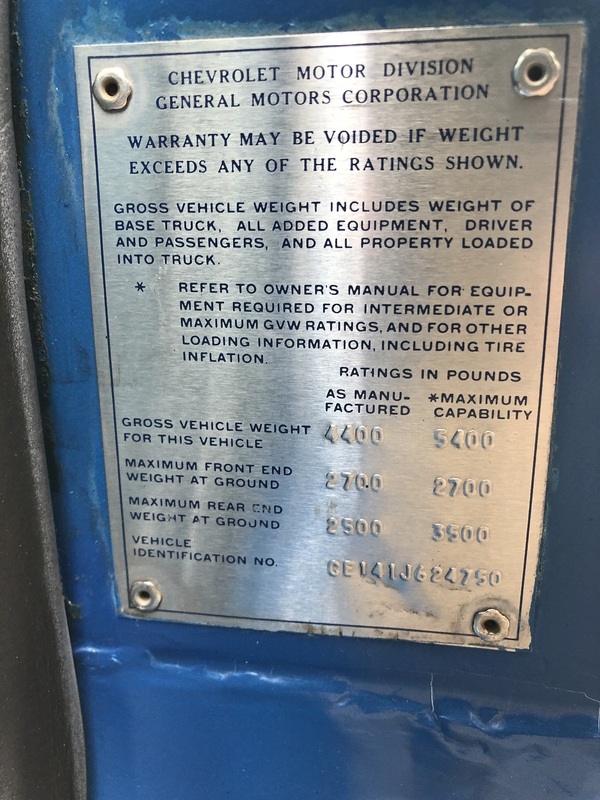 They have not changed in appearance or size since the truck was painted 19 years ago. 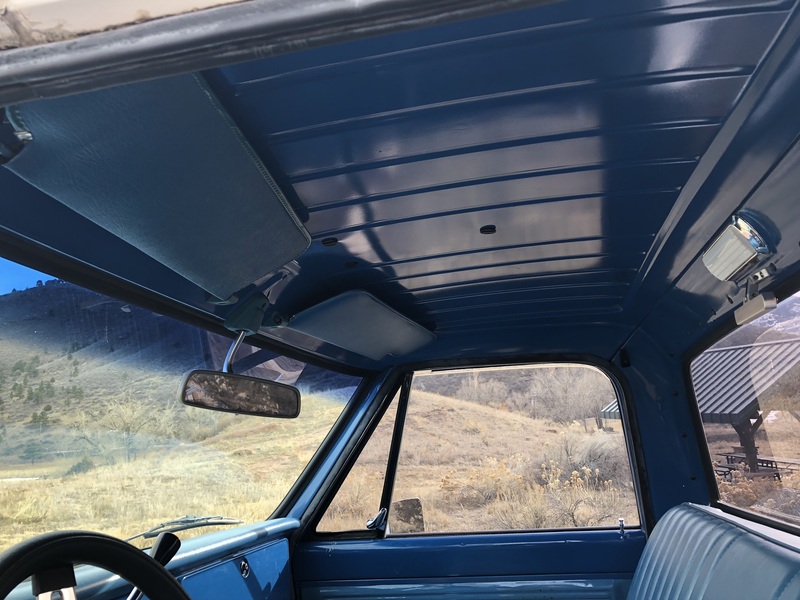 Right Door, Bottom Left, Lower Corner Paint Blisters as shown above. 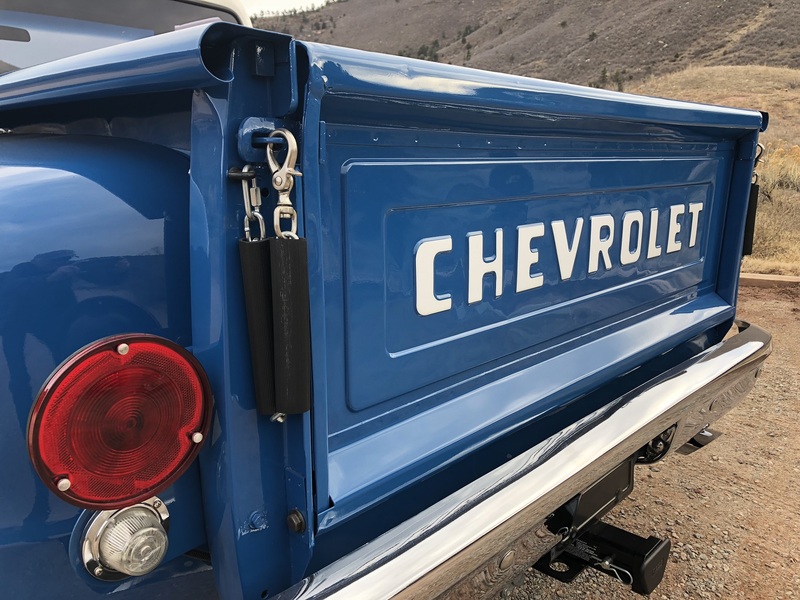 Aside from these, the paint on the truck is very good. 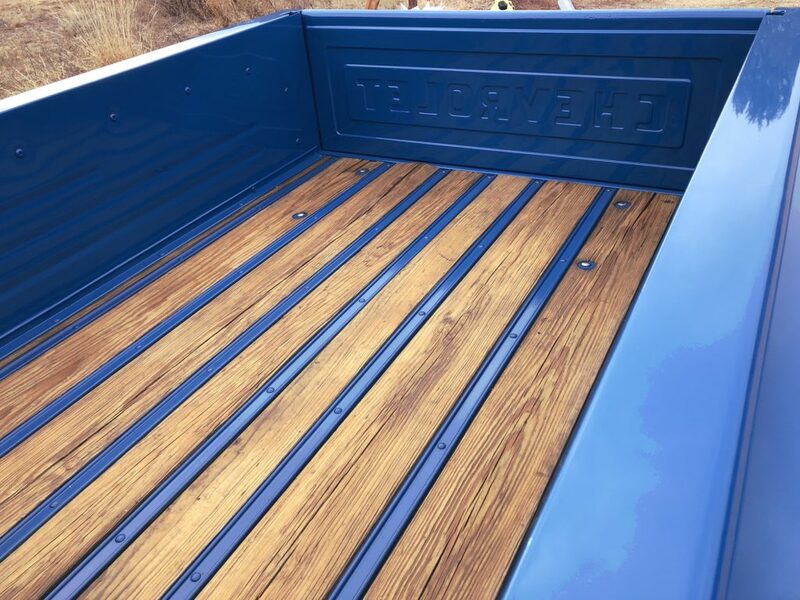 The paint brand & color code stickers are with the truck so that it could be matched to prep and re-paint. 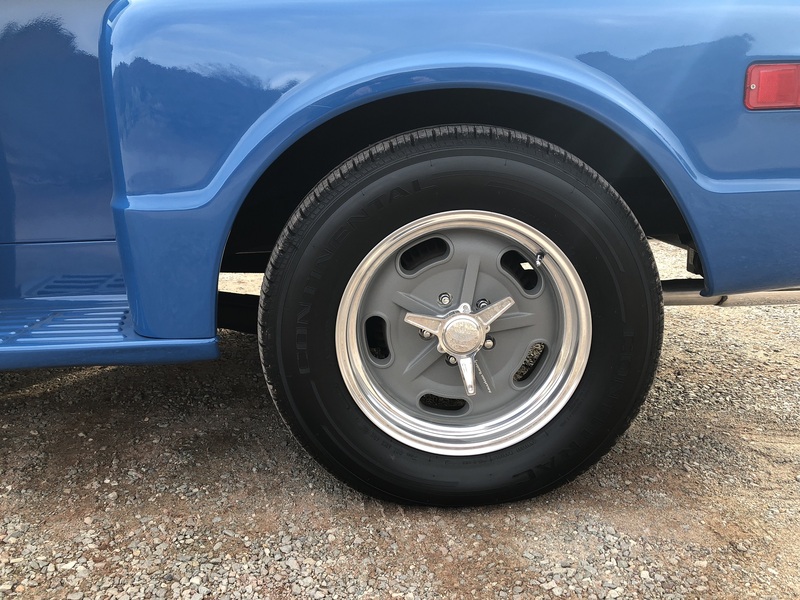 Also included with the truck are the original wheels and hubcaps with 4 235/15R15 Trail Handler LT tires; the original front stock spindles and back coil springs; spare tire hanger and bolt; a GM power brake (small booster w/dual master cylinder) and a Demon 4 barrel 625cfm carb with electric choke and mounting kit.